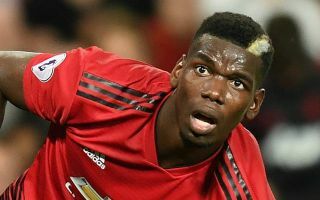 Barcelona are reportedly planning a monumental effort to scout Manchester United star Paul Pogba in every game he plays for the rest of this season ahead of a transfer. According to the Daily Mirror, the Catalan giants are beginning their operation to sign the France international after making him their top target. And this apparently means a seriously heavy series of scouting missions from now until next summer as they believe he is keen on the move to the Nou Camp, according to the Mirror. This kind of charm offensive might be just what’s required to turn Pogba’s head, with the 25-year-old also likely to attract other big clubs if he ends up leaving Old Trafford. Things haven’t quite worked out for Pogba at United, but he’s long been regarded as potentially one of the best midfielders in the world. One can easily imagine the former Juventus man would shine more at a club like Barca, with a more suitable playing style and higher calibre of team-mates there to get the best out of him. Pogba played a key role in helping France win the World Cup this summer and he may be justified in feeling he could do more than carry on in this somewhat uninspiring United side that doesn’t look like competing for the biggest prizes any time soon.